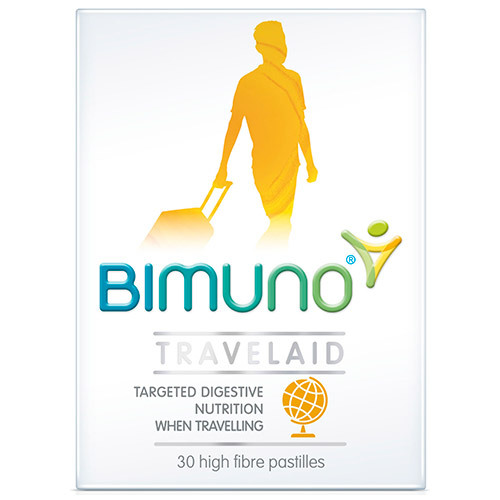 For individuals who are travelling, make Bimuno TRAVELAID part of your daily routine. Simply chew 3 pastilles every day. Bimuno Syrup (Galactosaccharides [milk], Lactose [milk], Glucose [milk], Galactose [milk]), Gelatin, Glazing Agent: Vegetable Oil, (Coconut Oil, Palm Kernel Oil, Sunflower Oil), Carnauba Wax. Taking Bimuno TRAVELAID pastilles is easy. Take all 3 pastilles at the same time each day, ideally for 7 days before you travel. Chew each one separately and fully before swallowing. Adults and young persons 12 years of age and over: 3 pastilles per day. 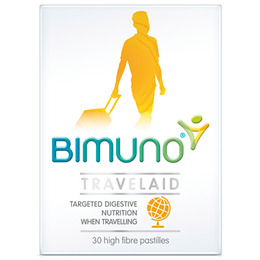 Below are reviews of Bimuno TRAVELAID - Targeted Digestive Nutrition - 30 Pastilles by bodykind customers. If you have tried this product we'd love to hear what you think so please leave a review.